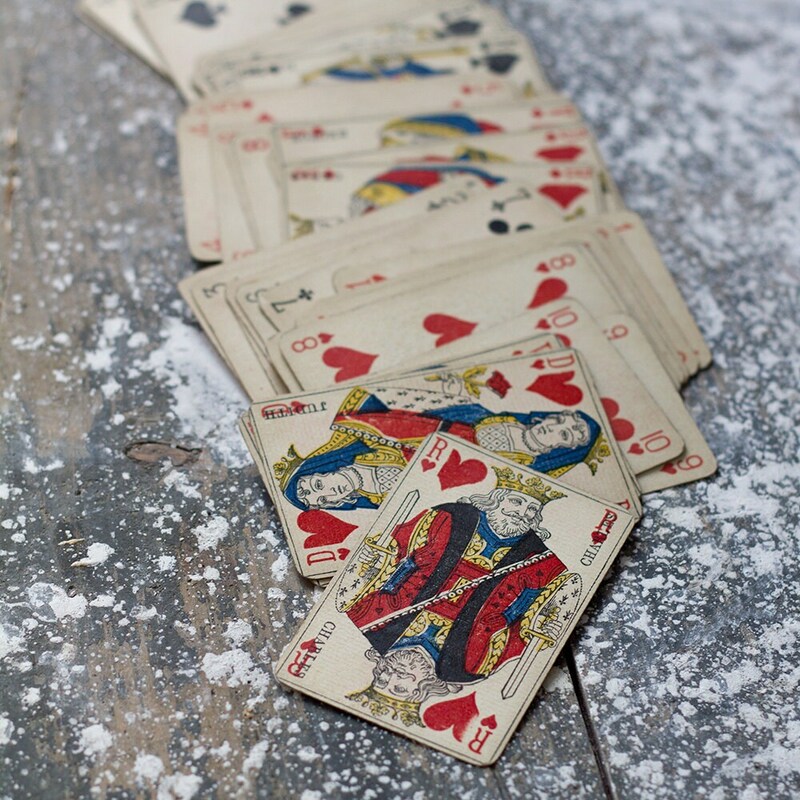 Beautiful set of vintage French playing cards with wonderful illustrations. Incomplete with 46 cards (the 8 to King cards are missing from the club suit), they would be wonderful framed in a gallery wall. These pieces wear their history like all vintage pieces which only adds to their story. 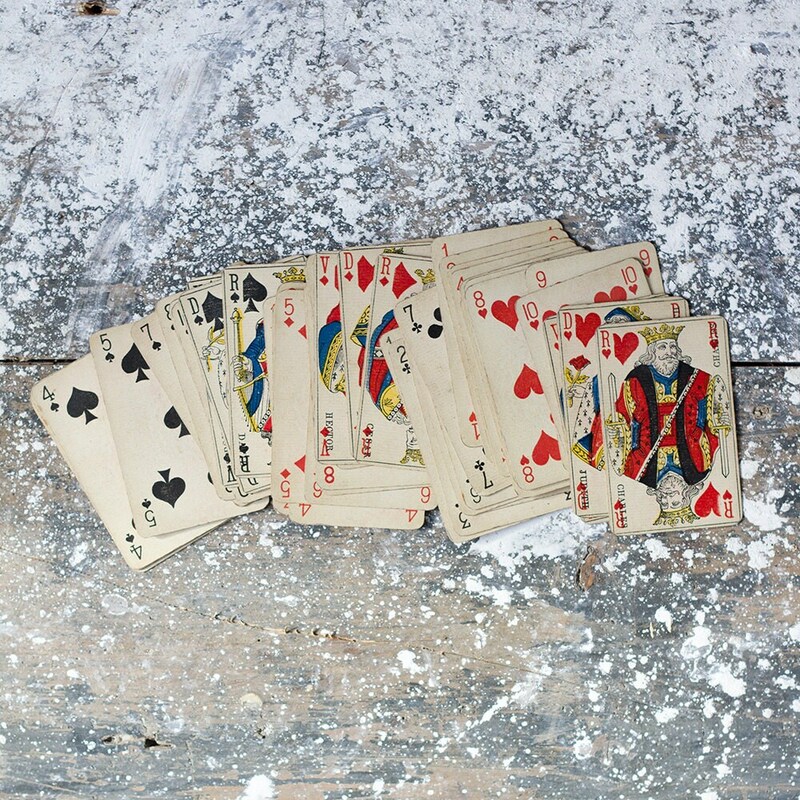 These cards are in excellent condition, no tears, folds, or major staining and sport the patina of being used.